RIVERINA grain farmers Glen and Julie Andreazza are the 2018 winners of the NSW Farmer of the Year Award. 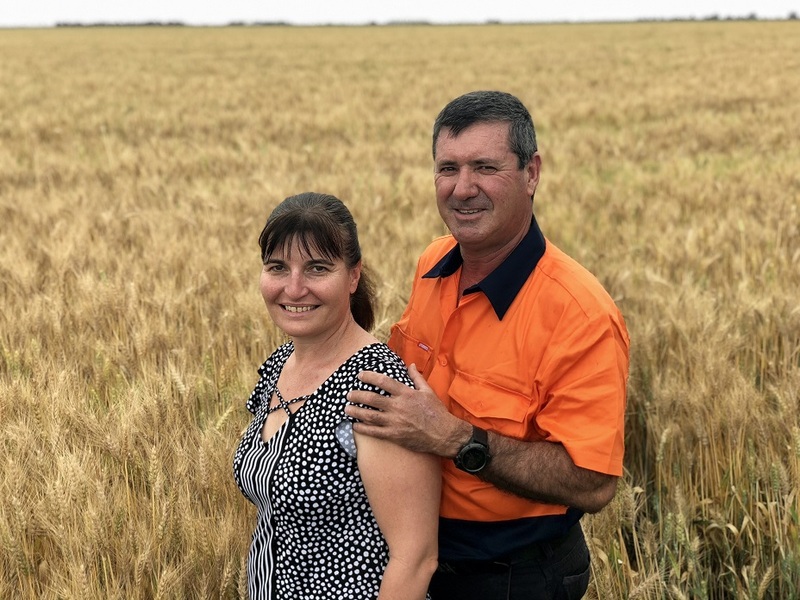 The couple have been recognised for farming excellence on their 370-hectare grain farm at Willbriggie, south of Griffith, where they predominantly grow rice, wheat and recently corn. NSW Minister for Primary Industries, Regional Water and Trade and Industry, Niall Blair, said the winning couple were balancing sustainability with profits, and offsetting the risks in seasonal conditions. “Glen and Julie are an example of some of our State’s best innovators. When times get tough, they adapt, they modify and they find ways to be even more sustainable or more profitable,” Mr Blair said. Mr Blair said the Andreazzas grew two different crops each year – in the summer it’s rice and in the winter a cereal crop which used the residual moisture in the ground. “The wheat cereal crop is a soft variety, which has low protein and attracts a higher price due to being a key ingredient in biscuits, so it not only takes advantage of conditions, but also adds to the overall on-farm value,” he said. “They’re using technology, they’re thinking outside the box and they’re also working to reduce the burnout that can come with farming. NSW Farmers president James Jackson said the farm balanced environmental practices with making a profit by ensuring the farm recycled all water and used quick flow irrigation systems. “Solar panels have been installed to offset the cost of electricity, making a positive impact on profit and loss, while saving the environment by reducing emissions created from fossil fuel,” he said. “As well as looking after the environment, the Andreazzas focus on education, communication and succession planning ensure the business remains sustainable. “Their son works on farm, and brings financial skills to complement his parent’s passion for the land. They host breeding trials on the property, facilitating education on potential varieties and the needs of end user, and Glenn is a director of SunRice.